Being involved in a Road Traffic Accident is usually very traumatic and upsetting. At Centenary Solicitors we aim to reduce the stress of the process and work hard to ensure your claim proceeds as smooth as possible. Unfortunately Road Traffic Accidents are a very common occurrence. It is compulsory in the UK to have valid vehicle insurance, so if you are ever involved in an accident our specialist Solicitors can secure you appropriate compensation. 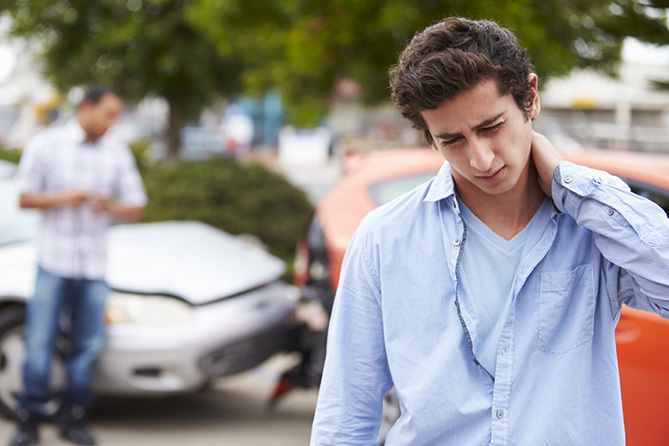 The most common injury caused as a result of a Road Traffic Accident is Whiplash to the neck and back, caused by the sudden movement of the impact. The vigorous movement of the head overstretches and damages the tendons and ligaments in the neck. At Centenary Solicitors we deal with Personal Injury Claims ranging from minor Whiplash to far more severe injuries. Our team of highly experienced Solicitors are experts at Road Traffic Accident and Personal Injury Claims. We will investigate your injuries to build an accurate conclusion, and negotiate for the maximum amount of compensation. Whether you were a driver, passenger or a pedestrian, our team of specialists can help you, and we can help on a No Win No Fee basis meaning there is zero financial risk to you. If you’ve been injured as a result of a Road Traffic Accident, contact us today. Our Solicitors will work hard to ensure your claim is processed as efficiently as possible and you receive the maximum amount of compensation for your injuries and losses. You can complete the simple claim form to the right, select ‘contact us’ above, or speak to a member of our team by calling 0800 1123 256.